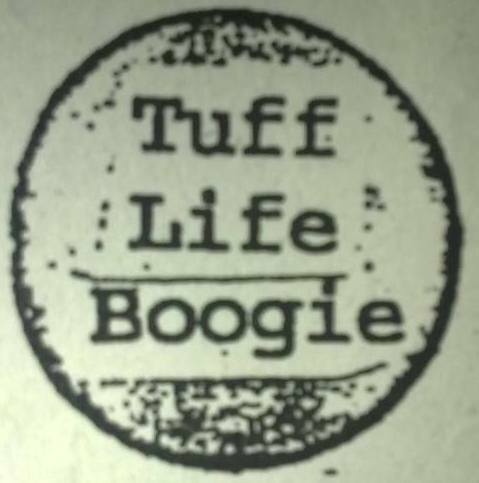 If you follow the alternative and indie music scene and you’re based in the North West, you may know a little about Tuff Life Boogie. Then again, this is hardly a story of self-aggrandisement or any of that self-serving twaddle. Because that’s not quite how Rico La Rocca rolls. Who’s Rico? Well, he is in effect Tuff Life Boogie – the name taken from a song by cult indie favourites The Fall, as many of you already realise – a Lancashire-based civil servant by day and music fan turned promoter by night. It’s all a bit under-stated sometimes, which is probably not what you expect from someone in the promotion game. But for Rico it’s always been about the music first and foremost. A few years ago, this 40-something Prestonian started putting together a number of impressive events, many centred around commemorative events marking the passing of legendary Radio 1 DJ and indie inspiration John Peel. Some big names followed, or at least big names to the likes of me and countless others in the area and further afield. From The June Brides to The Nightingales, and from The Pastels and The Primitives to Wire and The Wolfhounds, Rico’s played a major role in ensuring his townsfolk don’t always have to travel to Liverpool, London or Manchester to see the bands they rate. 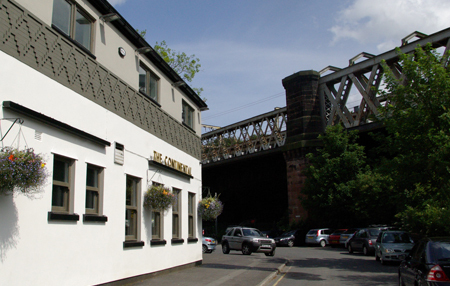 As fellow writewyattuk-featured alternative community champion Carl Barrow – the promoter behind Hollow Horse – has enticed household names to the nearby Ribble Valley, Rico’s trod a similar path in his hometown (I know, Preston’s a city these days, but whatever). There’s clearly an on-going love of the wider indie scene for Rico, who started organising shows in the late ’80s with Preston’s Rumble Club, a splinter project which rose from the ashes of the established Twang Clubbe, a short-lived but successful venture run by Dave Hindmarsh, starring various acts featuring heavily on nightime Radio 1 at the time. From The Age of Chance through to The Wedding Present, with a nominal £1 entrance fee, the Twang Clubbe and its successor put Preston on the indie map, and such principles have been taken forward by Rico, not least in his current Tuff Life Boogie guise, his sense of inspiration still strong many years after John Peel himself took the trouble to respond to a letter by calling his home phone number, then giving his club a plug on air. While 2013 saw a number of ambitious live shows, last year there were no Tuff Life Boogie events, Rico deciding to take a step back, having taken on just a bit too much, no doubt losing a little cash amid all his herculean efforts. But now he’s back, and with some kind of vengeance, with what was meant to be a pretty low-key return somehow becoming a seven-gig showcase in Preston. So Rico, it’s fair to say you’ve taken on – as you tend to – quite a bit here, more than you might have planned. “Yeah, I was only going do around one a month! Even the John Peel gig wasn’t going to be a massive one this time, not least as The Continental was booked every Saturday in October. “But then JD Meatyard, aka John Donaldson, who used to be in Levellers 5 and Calvin Party, asked me about putting on a date the day I already had Sauna Youth. “That was always going to be in the afternoon, Sauna Youth wanting to get back to London as they were working on Monday and playing Hebden Bridge on Saturday night. So I booked JD for that evening, and from there it just got bigger! “JD did a lot of Peel sessions, three for The Levellers (later becoming Levellers 5 when the Devon band of the same name took off), and four with Calvin Party in the ’90s. Peely thought he was fantastic, and I’m sure he’d still be playing him now. You probably suss from that snippet that Rico is passionate about his music, a true champion of largely unchampioned acts, many arguably a million miles away from the kind of guff put our way via all those TV talent shows. This time, Rico – whose past Tuff Life Boogie promotions included venues in Manchester too – is using three Preston venues for seven autumn showcases – Blitz (now in its new Lord Walk setting), the Korova bar, and The Continental. So is this a case of a Preston lad with a foot in the gig game filling the void left by the lack of shows at the University of Central Lancashire (which more or less stopped putting on shows at the end of last year, as explained in this 53 Degrees feature)? At that point we discuss the finer details and merits of good old Prince Charming, before Rico moves back to the main subject. “I lost quite a bit of money on the last shows I did, and it took me a while to get back on my feet. I did around 20 in six weeks, and it was a bit too much for Preston really. And Tuff Life Boogie is just you really, isn’t it? And the same goes with Blitz. “That’s been very encouraging, and we’re doing three gigs there. The guy there, Pete, wants to start doing a lot more gigs, and he’s almost booked for the rest of the year. The music policy for the club is a bit more dance-orientated, but he wants the crowd he used to get for gigs coming in the evening before the nightclub starts. What strikes me about the shows Rico’s putting on this time – as was the case before – is that they’re far from one-dimensional, style-wise. From indie to Americana and folk-rock acts, there’s a rich mix. I was listening, for example, to tracks by October 3rd’s Blitz headliner Stanley Brinks the morning I contacted Mr Tuff Life Boogie. “He was in a fantastic French band called Herman Dune, who got to quite a decent level for an underground indie band at that time. He’s a little more esoteric now, with a lot of his new stuff calypso-influenced, including the Robotica album, that he put out himself. “He seems to have two strands of things – albums he does with The Wave Pictures backing him, for wider release, then those he puts out himself, with around three or four of those a year. His Bandcamp site is full of them. I can’t keep up! Given the chance, Rico would probably rave a little more about each and every one of the acts featured on his autumn bill, but I’m aware of the fact that he’s only nipped out on his lunch-hour from the day-job, and try to steer him back on track. There’s a real international feel to some of these shows too, not just with that French link for Stanley Brinks, who is based in Berlin these days, but also with a New York link via Thomas Truax, who has two Australian bands – Terrible Truths and Totally Mild – supporting him in his show at The Continental on September 24th. “Yes, Thomas Truax has played Preston a lot, and The Ferret liked him. I think he was living in Brighton for a couple of years and doing UK tours pretty regularly before moving back to America. At that point, we digress and talk about all those great acts that appeared on Fire back then, not least personal favourites of mine like Paisley’s Close Lobsters and Bristol’s The Blue Aeroplanes. That led to talk of another so-far not officially-confirmed showcase series Rico has lined up for mid-April 2016, a three-day event pencilled in for The Continental. So far he has, among others, The Pastels, The June Brides, The Monochrome Set, The Wolfhounds, The Orchids and Would-Be-Goods (and anyone named after an E. Nesbit book is okay by me), and plenty more acts are being approached. But more of that some other time. 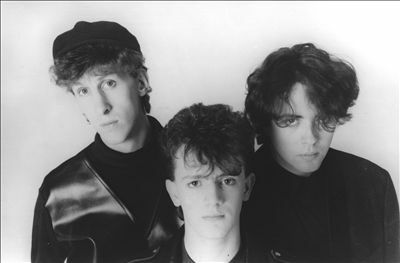 As for this time, The Icicle Works, who are supported by Martin Bramah and the Long Lost Band at Blitz on October 24th, are probably the most successful act – commercially – of all those announced for Rico’s forthcoming programme. But there’s plenty more to savour, right through to the Galley Beggar, The Fates and One-Sided Horse bill at The Continental on November 21st, with Rico’s UnPeeled show on Sunday, October 25th at the same venue arguably the flagship event. Now there’s a blast from the past. I recall Maximum Joy supporting my favourite band The Undertones at The Lyceum in London in 1983. Where the hell did that black and white poster from that event end up, anyway? But now it’s me digressing. On with the tale, Rico. “Other than ours, Maximum Joy are doing one show in Bristol and one in London, while Glaxobabies aren’t doing anything else. “Even when I get someone who’s touring, I’ll try and make it different. So with The Icicle Works, they’re doing Manchester and Liverpool as well, but I’ve got Martin Bramah on my show as well, of the Blue Orchids. That’s only happening because I sorted it out and am taking a bit of a cut on the money to get him involved. Yet while Preston may remain a backwater compared to its bigger North West cousins, it has much going for it, one of the jewels in that cultural crown being Action Records, its much-celebrated Church Street mecca for music lovers. And with that in mind, Rico’s septet of shows includes an Action-themed event kicking it all off at Blitz on September 19th. So was this esteemed record shop and part-time label (thankfully still going strong to this day) always a big part of Rico’s life? “Oh, definitely. I’d be in Action every weekend between the ages of 14 and 18, buying up all the early Creation and Pink records … later selling a few back to him! If you don’t know the Action Record story – or even if you do – it’s worth noting that there’s a splendid short film, Chased By Nuns, being shown on the night all about it, while the main support band has a link too, as Rico explains. “The main reason the Action Records film is being shown is that Big Red Bus, who are on the bill, put a couple of 12” records out on that label. In fact, it took years of sensitive negotiations to tempt Big Red Bus into reforming, and guitarist Dave Spence has flown in from his retirement home in Costa Rica specially for the occasion”. That takes me nicely on to the second part of this feature, in which I catch up with the afore-mentioned Dave Spence, who was clearly looking forward to what will only be the band’s second reunion show in two decades. 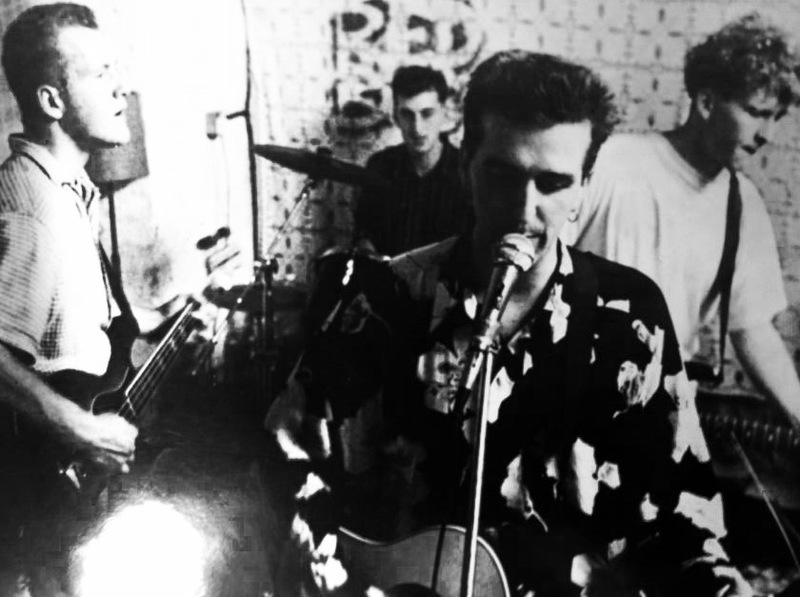 If you were a regular on the alternative live music circuit around Lancashire in the late ’80s and early ’90s, chances are you’ll remember jangly guitar favourites Big Red Bus. They had a couple of close calls with indie fame, enjoying some prestigious supports – not least with The Stone Roses – and had a mini-album and a couple of singles released on Action Records’ own independent label. While UK fame never quite followed, they enjoyed success in Japan and Norway, with enough local interest to ensure a one-off reunion at The Continental in 2013, courtesy of Tuff Life Boogie. 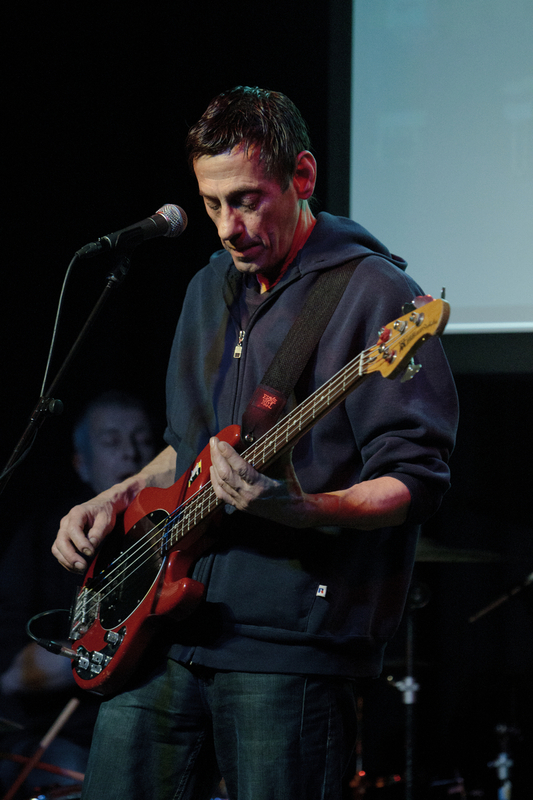 And that appearance proved such a blast that Rico has invited them back for a reprise, supporting acclaimed solo artist Jez Kerr, who made his name with Factory Records legends A Certain Ratio, who regularly supported Joy Division and proved New York favourites in the early ’80s. 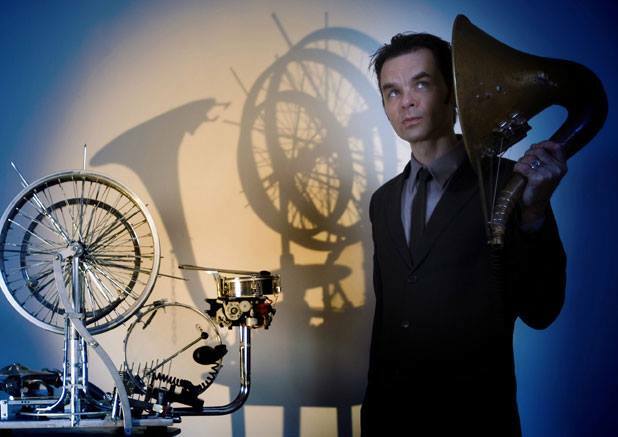 Jez’s first solo single, Play Sumthing Fast, earned plenty of acclaim, was single of the week on The Radcliffe and Maconie Show, and enjoyed several airings on BBC 6 Music and Radio 2. 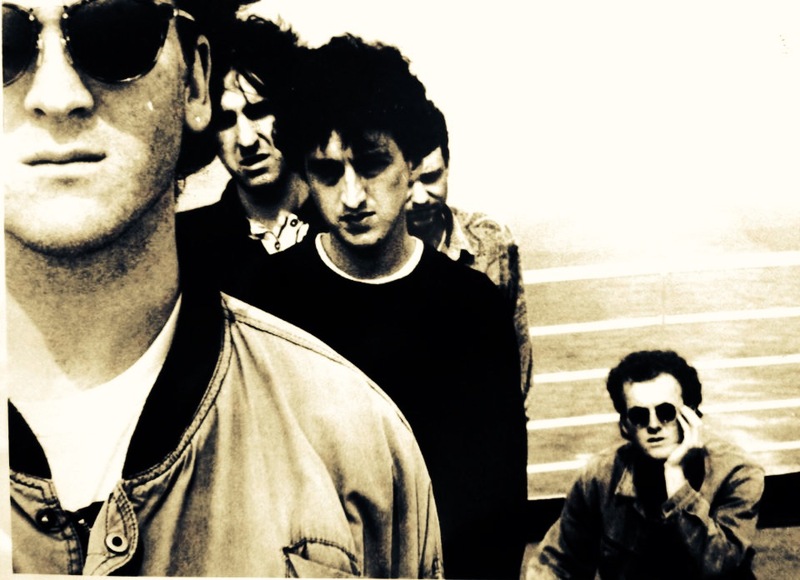 That was followed by an album, Numb Mouth Eat Waste, with five-star reviews in Mojo, Q and The Guardian, live performances following alongside The Fall, Badly Drawn Boy, Mark Stewart (The Pop Group), The Lovely Eggs and New Order on their latest tour. 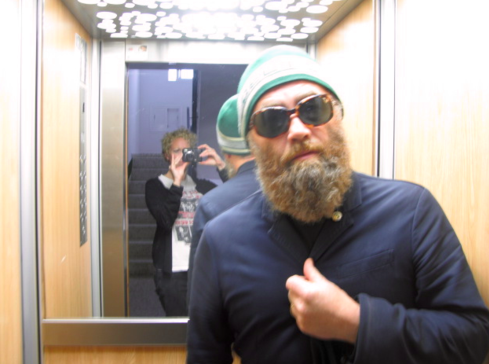 There was also a well-received single, Control Myself, on Welsh indie label Higuera Records and a session on Marc Riley’s BBC 6 radio show early this year, and you can learn more about Jez through his website here. Meanwhile, Chorley’s Nick Ainsworth also features on the night, returning to Preston in one of his many guises – as Former Bullies, Dinner Party, Secret Admirer ‘or maybe something else’. But let’s get back to Dave Spence now, and the story of Big Red Bus, in which he’s joined by singer/songwriter Mick Shepherd, Dave’s brother Neil Spence on bass, and drummer Roland ‘Scrub’ Jones. We start by pondering that date at Blitz and how it got to be one of seven Tuff Life Boogie gigs coming up. Wasn’t the organiser originally intending a far more modest programme? So take us back a bit, Dave. Your band remains revered in Preston indie circles, but when exactly did the Big Red Bus journey start? 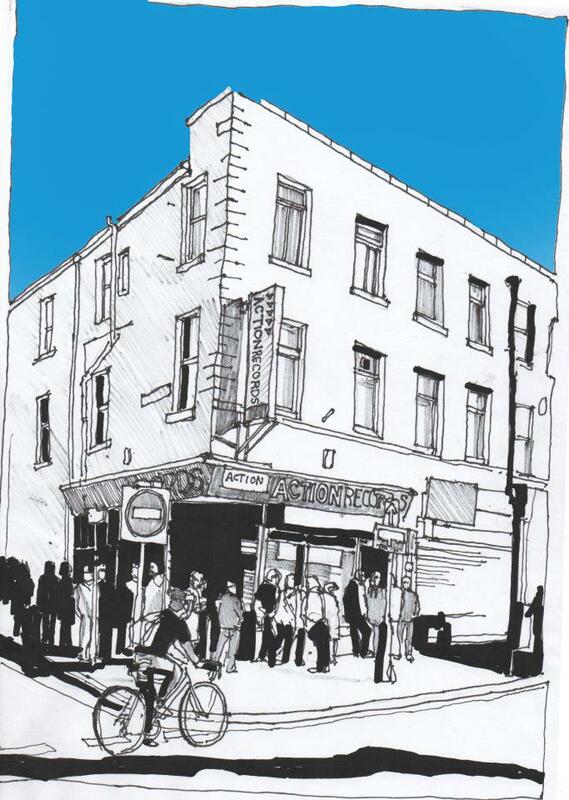 “Our first gig was at the Bodega Bar on Cannon Street, on May 12, 1989, when we’d been together three or four months. Then, bizarrely enough – and a case of right time, right place – our second gig was supporting The Stone Roses at the Guild Hall foyer at the end of that month. “It was just before they released their first album, and they were doing small gigs – just before it went massive, and dates like the Winter Gardens that August bank holiday. We gigged fairly heavily from 1989, and Gordon from Action Records put the album out that autumn. We recorded it quickly, in retrospect probably a little too quickly. Very evocative of that era it was too. Actually, I was just watching the promo video. “Yes, that was put together on some really old equipment, but wasn’t high on our list of things to do. We were doing a lot of stuff ourselves. That was the single that got Radio 1 airplay and got record companies coming to see us. We featured on an early-evening slot with Mark Goodier. “That’s how you got to be heard in those days. There was no internet, that’s for sure. Go on then – why Norway? “We did a charity gig in Preston, and a lad down there with a contact in Bergen saw us, really liked what we were doing and arranged our first trip over, taking a load of records over. Back to that fateful show in Preston, did you know much about The Stone Roses then? “We were given a tape and told we were supporting them the following week, and while we’d heard of them – because they’d been around a while – the first time we saw them was when we came off the stage at the Guild Hall and went back out front. As it turned out, the band featured with the Roses once more in Birmingham at the end of June, 1989. Initially they were set for a gig at Edwards No.8, but that was dropped at the last minute by the main act, who that week adorned the front page of the NME. 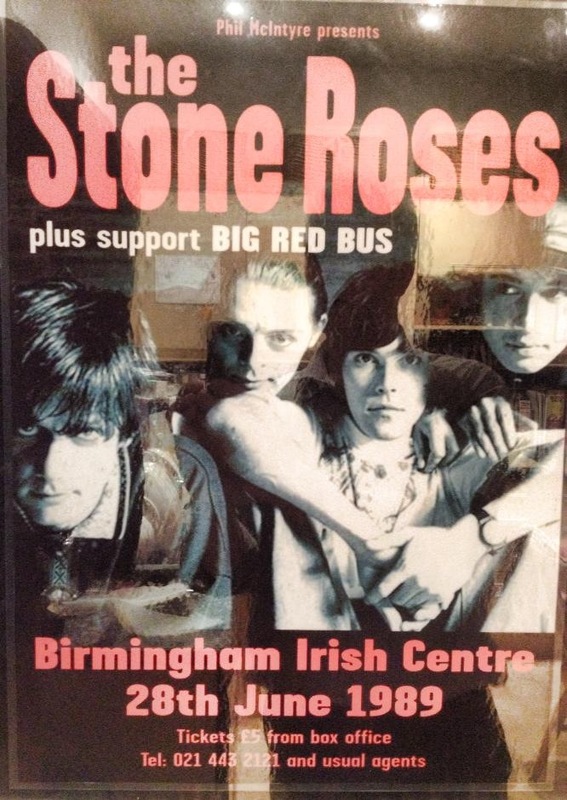 Another show quickly replaced it though, Big Red Bus joining Ian Brown and co. at Birmingham Irish Club, by which time Roses mania had truly hit. Big Red Bus may never have scored a crossover hit, but one Action Records act from that era did, Merseyside outfit The Boo Radleys. Yet the label-mates they felt closest to – and played most with – were Dandelion Adventure. That may sound like an easy commute, but as hinted before, Dave’s not quite so close to Longton or even Preston these days. “I’ve been over in Costa Rica since late 2012, but spend a couple of months a year here, although the draw of Pacific beach life and the River Ribble are different things! I worked at Preston College for close to 18 years, first teaching music technology after my band days, but a few years ago it wasn’t happening for me. As well as the Central America link and the band’s past popularity in Norway, Big Red Bus are big in Japan as well, as the music cliché goes. Word has it that huge numbers of Big Red Bus 12″ records were shipped to the Far East from the Action Records warehouse a few years ago. “Bizarrely enough, we still get requests through our SoundCloud page and Facebook from people from there looking for copies of the album and two singles. When Gordon shipped them out over there they went like hot cakes, and in Japan there’s an indie underground original vinyl market, and they’re big collectors. And now Big Red Bus are rehearsing for their second Preston reunion. Will there be any new material this time around? Maybe that could happen if a fresh offer arrived on the table from Japan or Norway. And to keep up to date with all things Tuff Life Boogie, head to the official Facebook page here. This entry was posted in Music and tagged Action Records, Big Red Bus, Blitz, Dandelion Adventure, Galley Beggar, Icicle Works, JD Meatyard, Jez Kerr, John Peel, lancashire, Preston, Rico La Rocca, Stanley Brinks, The Boo Radleys, The Continental, The Stone Roses, The Wave Pictures, Thomas Truax, Tuff Life Boogie. Bookmark the permalink.